Our range of products include Electric Driven Two Stage Reciprocating Compressor, Portable Air Cooled Reciprocating Compressor and Electric Driven Oil Free Reciprocating Compressor. Electric-driven Two Stage Air Cooled Reciprocating Compressors. Durable cast-iron, two-stage design offers extended pump life for years of trouble-free service. 175 PSI maximum operating pressure. 100% continuous duty for tough applications. Automatic start / stop control / pressure switch operation. Includes motor starter, oil sight glass (10-15 HP only), manual drain. 125 PSI maximum operating pressure. 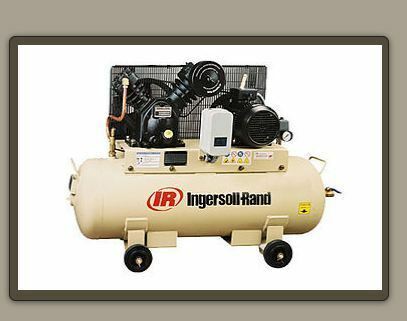 Ingersoll Rand Two-Stage Oil-Free cylinder air compressors are designed to provide instrument - quality air at the highest reliability. Application - Pharmaceutical Industries; Petroleum Industries; Laboratories; Building Material; Electrical and Electronic; Textile Industries; Food Processing; Hospitals; Chemical; Spray Painting; Discharge is free from oil contaminant. By: Ajay Locomotive Pvt. Ltd.